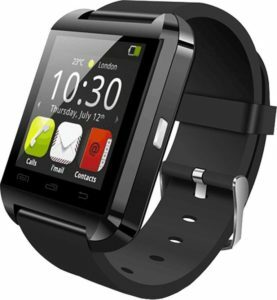 Looking for new stylish Smartwatch, but don’t have enough budget.? Don’t worry, we are here to solve your problem. Amazon is selling Ambrane ASW-11 Bluetooth and Fitness Tracker Black Smartwatch for Rs 594 only on paying with Amazon Pay balance. So, grab this awesome deal now, before it goes out of stock. How to Buy Ambrane ASW-11 Bluetooth and Fitness Tracker Black Smartwatch ? 3. Login or Signup for Amazon account. 4. Fill all the required details and make the payment with amazon pay balance to get 15% cashback.